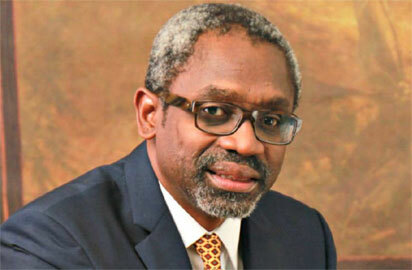 House of Representatives Majority Leader, Mr Femi Gbajabiamila, on Monday said the Buhari/Osinbajo ticket of the All Progressives Congress (APC) remained the best option for the 2019 elections. Gbajabiamila made the statement in Lagos at the presentation of 350 laptops to students and youths in his Surulere Federal Constituency 1. He said the APC-led administration had set the foundation for the country ‘s progress and urged Nigerians to vote the party for continued progress. The lawmaker said another term for APC meant a steady progress to a better future for the country. The majority leader said the South West as well as other regions had benefited massively from development projects of the Buhari administration in the last three years. He, therefore, said the people of the region, particularly Lagos, had resolved to stand with Buhari to emerge in 2019 in appreciation of what he had done in the region and country. He added that the promise of the Peoples Democratic Party for a Secretary to the Government of the Federation (SGF) slot could not make the region trade away “the development ticket”. “Do we have any body seated here who actually believes the South West should drop the position of Vice President and go lower down to Secretary of Government of the Federation as recommended by PDP? “I am sure none. Our resolve in the candidature of President Muhammadu Buhari and Prof. Yemi Osinbajo can not be traded away for any condescending offer. ” We stand by the offer to complete Lagos–Ibadan Expressway; We stand by the offer to give us Lagos–Ibadan rail project; we stand by the offer to give us Lagos–Sango–Abeokuta expressway. “We stand by the offer that just delivered Apapa–Wharf Road; we stand by the offer to deliver Apapa–Oshodi–Oworoshoki-Ojota Expressway; we stand by offer to provide steady solar power to our Lagos markets. “We stand by offer to support our market women with soft loans; we stand by offer to improve power supply; we stand by the fight against corruption and pillage of public fund. ” We reject the offer to sell NNPC to friends and cronies; we reject the offer to return Nigeria to 16 years of retrogression. We stand solidly by Buhari–Osinbajo,”he said. Gbajabiamila said the 16 years of PDP rule was a disaster as the country “got no returns on investments from the inefficient managers of the country’s commonwealth”.